PAX Catholic Communications is a service of the Archdiocese of Miami with the unique mission of evangelizing and proclaiming the Good News of the Gospel of Jesus Christ through the media. We are committed to utilizing the latest technologies in bringing a message of faith, hope and love to today's world. On Monday, January 3, 2011 Pax Catholic Communications began a programming partnership with internationally-known Eternal Word Television Network. With this partnership, Spanish listeners of Radio Paz on 830 AM will now also enjoy EWTN's "Radio Catolica Mundial" along with the station's local programming. 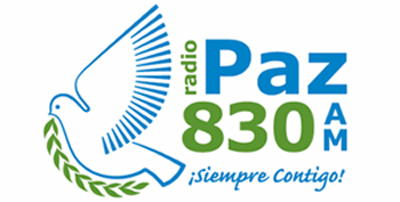 Under the umbrella of PaxCC you will find our flagship Radio Paz WACC 830 AM, which is twenty-four hours/seven days a week of Catholic radio programming in Spanish, including daily news and a wide-variety of spiritual enrichment programs. Our very diverse audience actively participates in the daily prayer of the Angelus, the Holy Mass, the Rosary and other devotions. Also the PaxCC family consists of Tele Paz (Spanish Language Catholic TV programming including the celebration of the Holy Mass), Radio Paz Musical "RPM" (24/7 Spanish Christian music on the internet geared towards the youth and young adults), and PaxNet - Radio Paz Satelital (Our twenty-four hour/seven days a week Satellite Service produced by Radio Paz in Miami).